Preparations on the Corot satellite are entering the home straight, with a last series of tests designed to evaluate its performance and ability to withstand the mission environment, and final assembly operations. Intended to detect Earth-like planets outside our Solar System, Corot is scheduled to launch in autumn 2006. The eternal search for our origins is still driving astronomers today to observe other planetary systems as they attempt to unveil the mysteries of our own Solar System … no less. 6 October 1995, the 1st extrasolar planet was discovered. 10 years later almost to the day, European researchers1 detected the 160th known exoplanet, a large “hot Jupiter” designated HD18733b. But in the years ahead, spaceborne telescopes are set to peer closer and deeper into the Cosmos in search of much smaller planets. Corot1, to be launched next year, is the 1st such mission. 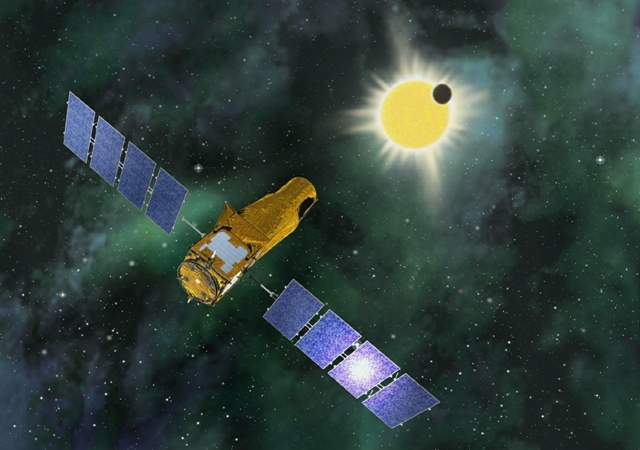 Corot will mark the 1st attempt to detect telluric planets outside our Solar System. 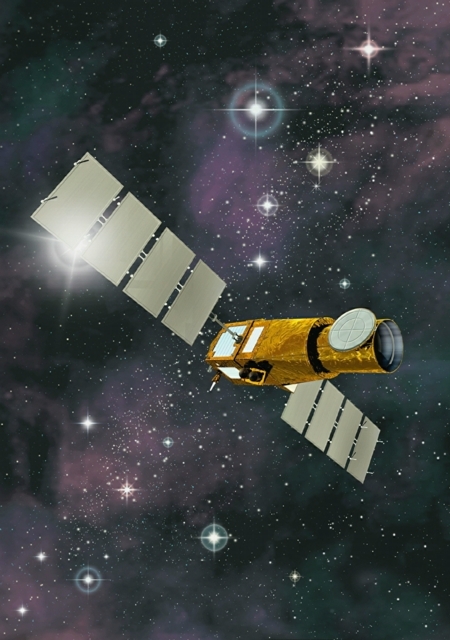 The satellite will observe some 120 000 stars during its 2-and-a-half-year mission. Using the indirect transit method, which measures the dip in brightness of a star when a planet passes in front of it, scientists hope to detect several dozen planets whose size and chemical composition could be compatible with the presence of liquid water. 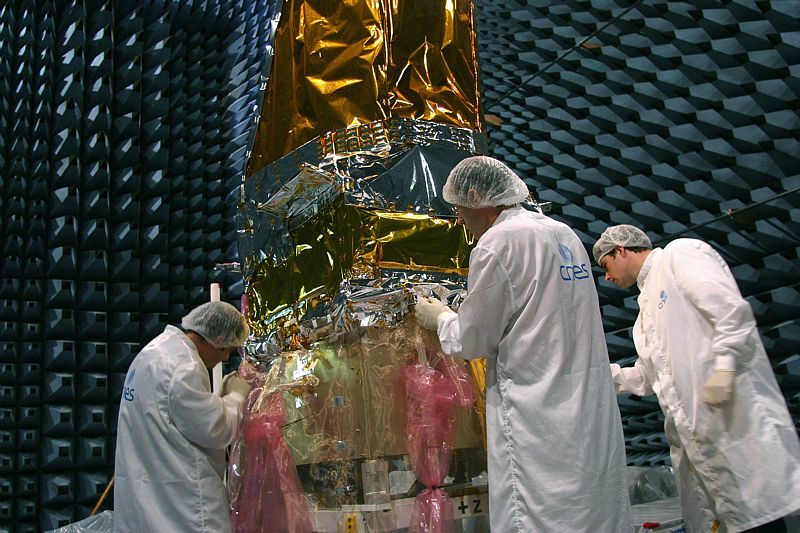 The Corot satellite is currently undergoing final environmental testing at Intespace in Toulouse, France. Once testing is completed, the flight instrument will be integrated on the Proteus spacecraft bus. This operation is scheduled to start early next year at Alcatel Space’s facility in Cannes, France, from where it will then depart directly for the Baikonur Cosmodrome in Kazakhstan. Satellite launch is slated for early autumn 2006 atop a Soyuz vehicle. European researchers1 : Astronomers at the LAM astrophysics laboratory in Marseille (CNRS), the Haute Provence Observatory (OHP), the Marseille Provence Astronomy Observatory and the Geneva University Observatory. Corot 2 : COnvection, ROtation and planetary Transits, a joint programme developed by CNES, CNRS, the Midi-Pyrénées Observatory (OMP), Esa, Austria, Belgium, Brazil, Germany and Spain.